The legend of the Golem seems inextricably connected with the history of Prague, however substantial evidence links this legend to an older tradition, one which has flourished in early modern Poland. The legend of the golem - the unformed mass of clay which, thanks to a magical spell, becomes a living creature – inspired Jewish cabbalists as early as the 12th century. The possibility of creating a humanoid creature raised interest from both theorists and practitioners of Cabbalah - Jewish or not - from Spain to Germany. But the story of the Golem as we know it, whose main narrative is located in Prague, and which connects the creation of the golem with the figure of the rabbi Jehuda Loew ben Betsalal (Maharal), was formed much later - in a period scholars tentatively identify as a time between the 17th and early 19th century. It turns out some of the key elements of the legend, including the figure of Betsalal himself, may have come to Prague via Poland. And could it be that the legend of the Polish golem also inspired Mary Shelley to create Frankenstein? Was the Golem from Prague? According to the Praguian legend, rabbi Betsalal created a golem to defend the Prague ghetto from anti-semitic attacks and pogroms. Depending on the version, the Jews in Prague were to be either expelled or killed under the rule of the Holy Roman Emperor, Rudolph II. The problem is that this period, often referred to as the Golden Age of Czech Jewry, was a time of remarkable tolerance toward Jews and Protestants alike, when Jewish cultural life flourished, and the Jewish population grew significantly. This makes it a rather unlikely background for the history of a golem whose main function was to be a bodyguard of the Jewish community. Another problem is posed by Betsalal himself, the creator of the Prague Golem. Hillel J. Kieval, an expert in the golemology, points to the fact that while Betsalal does appear to have had an interest in the speculative side of Jewish mysticism, he had never written about golem, nor was he known for having been a devotee of "practical" Kabbalah - the art necessary to create a Golem. This art, however, flourished in another nearby state, namely Poland. And Betsalal himself was really born in Poznań, where he became also the rabbi of Poland, that was before he moved to Prague. - After saying certain prayers and holding certain feast days, they make the figure of a man from clay, and when they have said the shem hamephorash [the explicit – and unmentionable – name of God] over it, the image comes to life. And although the image itself cannot speak, it understands what is said to it and commanded of it; among the Polish Jews it does all kinds of housework, but is not allowed to leave the house. This may be the earliest testimony referencing the Golem-building powers of Polish Jews. It comes from a letter written by a non-Jewish folklorist Christoph Arnold in 1674. Hillel J. Kieval observes that among early modern Jews, tales of the creation of life by pious individuals seem to have been most common in Poland. More importantly, he notes that beginning in the seventeenth century, an important new motif was added: from that point onwards a golem was understood to have been not merely a servant who performed all sorts of physical labor for his master, but also a source of danger. - On the forehead of the image they write: emeth, that is, “truth.” But the figure of this kind grows each day; though very small at first, it ends by becoming larger than those in the house. In order to take away his strength, which ultimately becomes a threat to all those in the house, they quickly erase the first letter aleph from the word emeth on its forehead, so that there remains only the word meth, that is, “dead.” When this is done the golem collapses and dissolves into the clay or mud that he was. - They say that a baal shem in Poland by the name of Rabbi Elias made a Golem who became so large that the rabbi could no longer reach his forehead to erase the letter e. He thought up a trick, namely that the Golem, being his servant, should remove his shoes, supposing that when the Golem bent over, he would erase the letters. And so it happened , but when the Golem became mud again, his whole weight fell on the rabbi, who was sitting on the bench, and crushed him. Rabbi Elias was a real person, known also as Elijah Ba'al Shem (b. 1550, d. 1583), he served as a chief rabbi of Chełm, a town in Eastern Poland, which in later times became famous for its literary tradition of tales about the fools of Chełm. But rabbi Elias was an important Talmudic scholar and kabbalist, and the first baal shem, that is, one said to possess secret knowledge of the holy names of God [literally, master of the Name (of God)]. The story of rabbi Elias was recounted also by his grandson, the prominent Jewish theologist and halachist, Jacob Emden. Emden wrote down the golem legend as told to him by his father Tzvi Ashkenazi, around the year 1700. As Kieval notes, in this version, the wordplay emeth/meth was omitted, and the collapse of the golem did not crush and kill his creator but only rendered him cut and bruised. Apart from this, the story is basically the same. Gershom Sholem, the most prominent scholar of Jewish mysticism of the 20th century, believed it very unlikely that the Prague legend could have been formed independently from the Chełm legend. That's why some scholars today believe that the legend of the rabbi of Chełm must have made it to Prague by the mid-18th century – very likely taken there by the Hassidim. Here, the story of Chelmer rabbi Elias was transferred onto a more famous Jewish rabbi from around the same time, Yehudah Leib ben Betsal’el (Maharal). Was Mary Shelley's Frankenstein inspired by the Golem legend? Boris Karloff as Frankenstein's monster. Photo: Universal Pictures / Wikipedia / CC. But the story of Polish golem also traveled in other directions. In 1808, some 140 years after the first account of the Chełm golem, this very story was published by Jacob Grimm in the journal Zeitung für Einsiedler. At this time Grimm was apparently still unaware of any association of the golem theme with the city of Prague, the first accounts of which were published only some 30 years later. The season was cold and rainy, and in the evenings we crowded around a blazing wood fire, and occasionally amused ourselves with some German stories of ghosts, which happened to fall into our hands. Could it be that on of those German stories was Polish Golem? Another humanoid being created by man to serve him. But Mary Shelley's Frankenstein, being the tale of a monster revolted against its creator who wreaks havoc to everything and everyone around, bears also many resemblances to the Praguian golem legend. 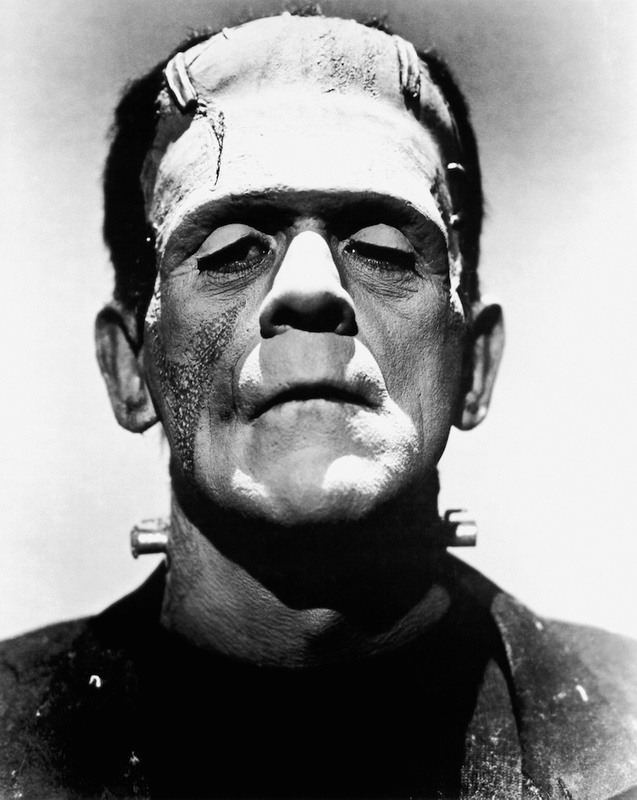 Frankenstein or the Modern Prometheus was first published in 1818, and by 1830s gained huge popularity in Europe. 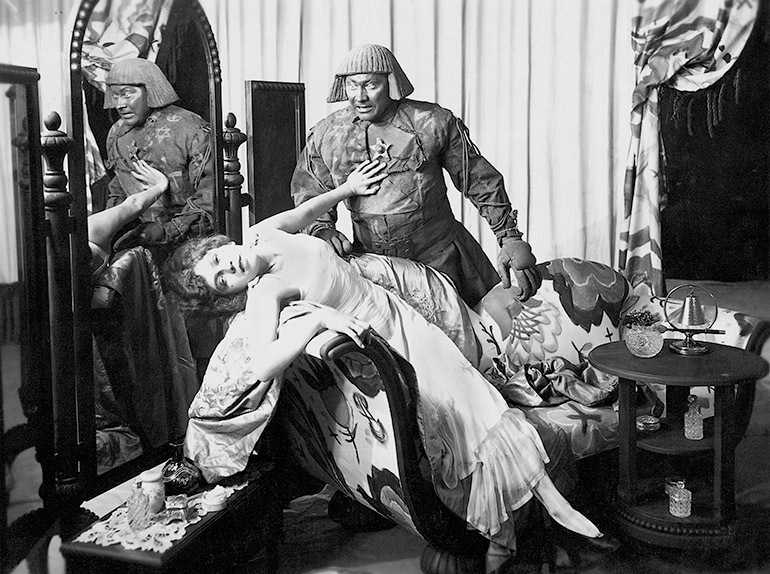 Could it be that also this story influenced the legend of the Prague golem? As Polish author Adam Węgłowski claims in his book Bardzo polska historia wszystkiego, this is not altogether out of the question, considering that the first literary attribution of the golem legend to Maharal – which appeared in Berthold Auerbach's novel Spinoza - comes only in 1837. 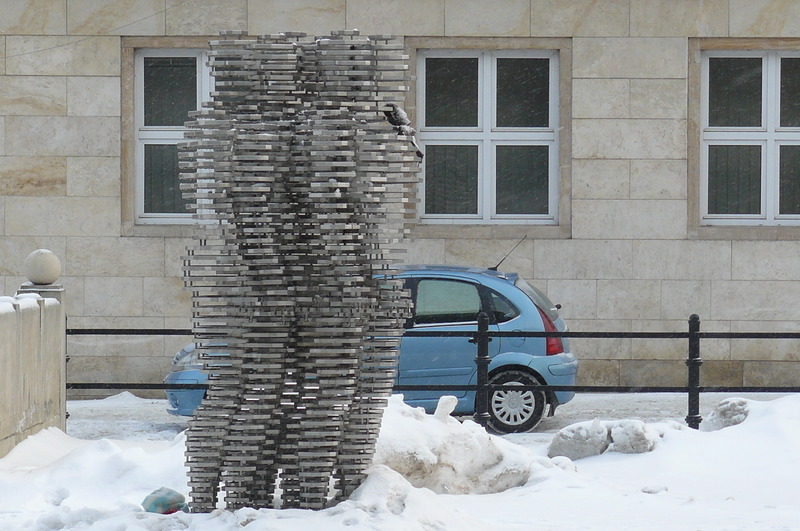 Can Golem be counted in a minyan? Meanwhile, golems were still the subject of both the practical and theoretical interests of Polish Jews. Inspired by his grandfather's golem experience, Jacob Emden discussed the legal status of the golem, asking such sophisticated questions as 'Could the golem be counted in a minyan? [minyan = the quorum of ten men required for prayer in Jewish tradition]? But meditating about the mysteries of the golem was not reserved to the Hassidim only. One of their great enemies and the foremost leader of Lithuanian mitnagdic Jewry in the second half of the 18th century, rabbi Eliah ben Salomon Zalman, also known as the Vilna Gaon, recounted to his pupil how he had also once contemplated the idea of animating a golem. Inspired by his study of Sepher Yetzira, he started creating the golem, but stopped after experiencing what he described as a figure moving above his head. He interpreted it as a sign from heaven discouraging him from continuing the experiment. It is probable that the last golem on Polish soil was created by rabbi Dovid Yafa (Yaffe, Yaffo) in 1800 in Drahichyn in Polesie (in today Belarus; not the more famous Drohiczyn in the Podlasie region of Poland). Reb Dovid was a descendant of the famous rabbi Mordechai Yafa. However, as Jacek Moskwa explains, reb Dovid far surpassed his ancestor in cabalistic skills. According to one of the versions of the story – which as Jacek Moskwa underlines, doesn't appear in other variants of the golem legend – the Drahichyn golem was a kind of shabes-goy, which means that he performed all the chores forbidden to Jews during the shabes. In winter he would light up fire in ovens and stoves, which was very important. The golem would always receive his orders one day earlier, so that the religious law wasn't infringed upon. One day, as a result of a mistake made in the order, the golem started a fire which burned down the whole shtetl. Following this catastrophe rabbi Dovid commanded his children that they never follow in his footsteps and become rabbis. According to the family tradition this fatherly precept was observed. Lost among the marshes of Polesie, the cabbalistic centre of Drahichyn may have survived the fire caused by the golem in 1800 but, just like so many other shtetls of this region, ceased to exist during WW2. A similar fate was dealt to the Jews and golem of Chełm. 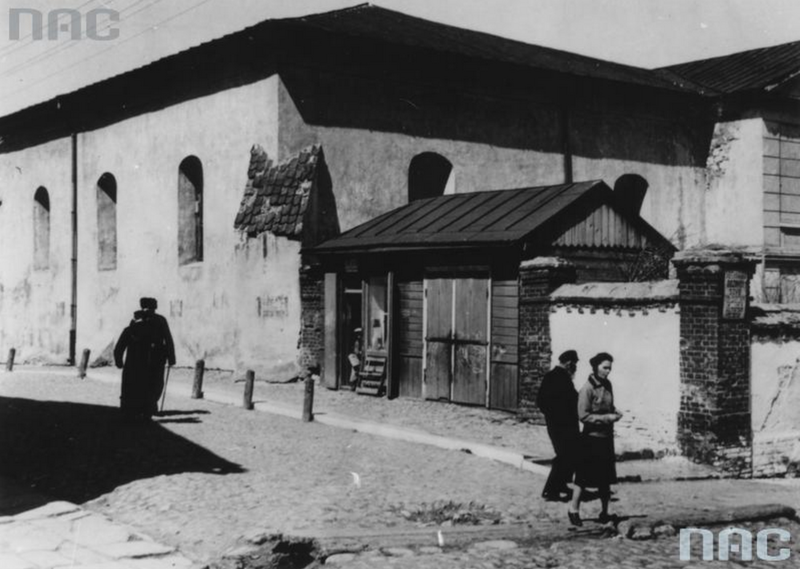 We will never know whether, as the story goes, the remains of the golem really laid once hidden in the locked attic of the Old Synagogue in Chełm. Unlike the Old-New Synagogue in Prague about which a similar story is told, the Old Synagogue in Chełm was destroyed by Germans in 1940-1941, leaving no traces behind.